Many industries and organizations have seen their boards undergo massive change in recent years. Whether this is due to new compliance regulations or simple retirements, shifting the make-up of a board can have big consequences. And some have actively pursued new members to pump new blood – and fresh perspectives – into their organizations. 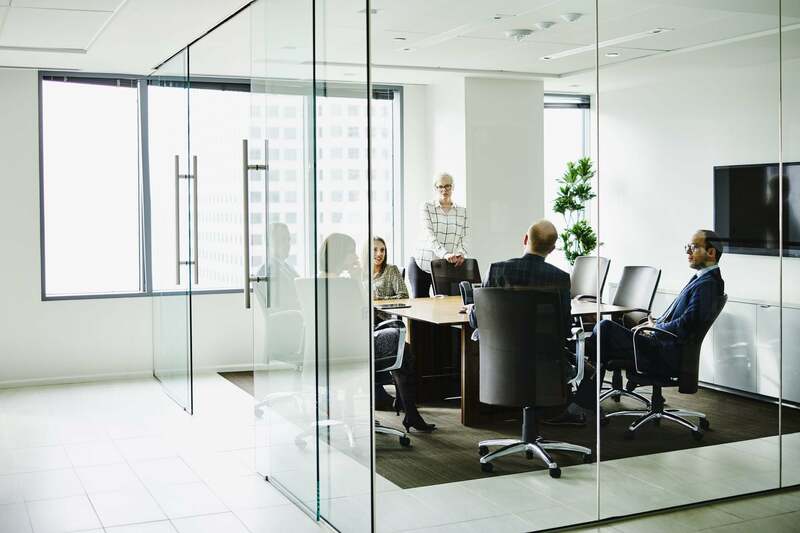 PwC found that 91 percent of directors feel diverse boards are more effective, and 84 percent believe a diverse set of board members increases company performance. PwC did a little more digging into nine individual industries, and it found that while my industry, entertainment and media companies, are responsible for a wide range of issues – content distribution, customer engagement, data collection and technology application — not a single entertainment organization it studied had a risk committee. These committees, intended to evaluate and mitigate risks on the horizon, are especially valuable for companies worried about everything from piracy to data privacy. The key, I think, is to consider at a new group of potential board members: influencers. Influencers can both increase a board’s diversity and help it recognize risks. What board composition do you need? A board of directors is typically built by bringing together people with the skills, experiences and perspectives necessary to make an organization successful. By definition, each organization’s board will look different from the next. An environmental nonprofit may seek people with wildlife and fisheries experience, people with backgrounds in oil or other natural resources and scientists. A retail kids’ brand may build a board around people who have been marketers, buyers, parents and pediatricians. Board composition considerations often result in a good mix of people who have the knowledge to advise on developing a service or product, as well as how to scale efforts and market them wisely. Sometimes, however, the diversity question overlooks a prime member of the audience: the person on the receiving end. I wrote in ReadWrite about how many arts boards appoint members of the society pages to join them. This, of course, rewards people who helped fund arts opportunities, but loading arts-oriented boards with people of similar perspectives frequently creates a divide between what different members of the art-supporting community need or want. People of different demographic groups – in terms of age, income and more – may have very different expectations. Failing to meet those expectations risks decreased engagement and, ultimately, funding. To counter that tendency, I recommend that boards consider adding influencers to their ranks. These people are on the front lines of culture in one way or another who have earned their fans’ trust. They’re approachable, and their entire platform is built on their ability to communicate with and listen to the people who follow them. By default, people see them as “real,” and they can serve as valuable middlemen, navigating what a board’s audience wants and what the board itself needs to accomplish. Recruiting influencers to your board. Adding influencers to a board demands a look at both diversity and risk. Someone who understands an organization’s audience and has gained the trust of that audience is likely in a good position to assess risk. For example, an influencer who’s noticed that fans in a specific demographic are leaving one social media platform for another can signal that reallocating marketing spend would be a smart move. Likewise, an influencer being inundated with questions about a new piece of legislation can start a conversation about building a campaign to educate audience members and diminish fears. Being knee-deep in the day-to-day gives these influencers insights that are helpful to boards, but difficult to obtain. Identifying influencers who are relevant to a specific organization’s goals is one thing; attracting them is another. Here’s how you can pique their interest. Show them why they should care. Just like celebrity influencers, other influencers want to know why you’re interested in them specifically – what’s in it for them? While it’s important to talk about the value they can bring to the board and the organization as a whole, also let them know how they could benefit. Would they gain a new audience? Would they reinforce their credibility in a certain area? Highlight how their followers will benefit. An influencer’s platform is enormously valuable – and they know it. They won’t risk it for something less than worthwhile, so understanding why their followers would benefit from their board membership can be key. Can they advocate for new venues? Can they become the face of a new line of products their fans want? Paint a picture of long-term possibilities. A lot of influencers are big on building something, whether it’s a community or a nonprofit. Talk up the possibilities that await if the board can address specific needs or meets its goals: driving enough revenue to create a new art program, hiring an expert to build new tech capabilities, building a second arm for a charity at the local level. These opportunities will appeal to influencers as much as the current opportunity. Influencers bring new perspectives to boards, helping them get away from their myopic view. Their fresh outlook can also help them spot problem areas and long-term risks that loom, preventing their organizations — and their followers – from future disappointment. By giving them a seat at the table, organizations could find themselves in a much better place.